It seems like spring is here to stay. Time to lube and adjust your door and even replace your bottom weather seal. Call A.S.A.P. to schedule your appointment 847.695.8888. This entry was posted in Garage Door Service & Repair on April 23, 2015 by admin. LiftMaster has introduced the new line of Logic 5.0 Commercial Door Operators, an internet-connected commercial door operator. 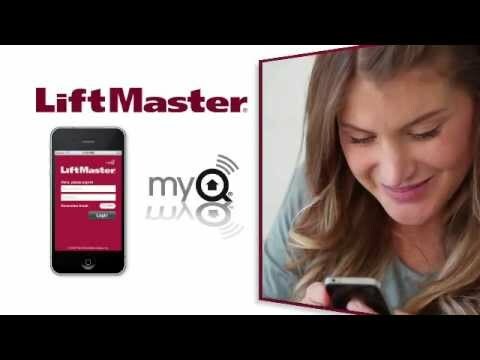 Logic 5.0 integrates LiftMaster’s proprietary MyQ Technology, allowing facilities such as firehouses and businesses of all sizes to monitor and control their commercial doors from a connected smartphone, tablet or computer. LiftMaster’s Logic 5.0 Commercial Door Operators deliver on our commitment to creating quality, innovative and advanced products, and give LiftMaster Dealers an edge by offering the industry’s first ever internet-connected commercial door operator.” The new Logic 5.0 Commercial Door Operator line also incorporates LiftMaster’s Security+ 2.0 patented technology that creates a strong and reliable signal to access property quickly and safely. This entry was posted in Garage Door Openers on April 20, 2015 by admin. In a nod to the past, this beautiful home garage door provides the look of traditional wood frame and panel construction, shaped from steel and embossed with a natural wood grain finish. The 2298 is an overhead door you’re sure to love. This entry was posted in Residential Garage Doors on April 20, 2015 by admin.